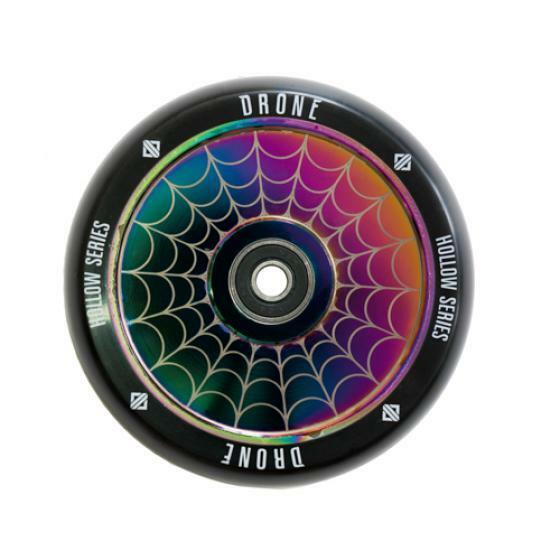 The long awaited Drone Hollow Series scooter wheels are here. 6 cool designs and a lot of work has gone it these stunt scooter wheels from Drone in Neo Web. Super light and strong, they will make any setup complete.